Naomi Warren was born in Poland in 1920. During the Holocaust, she survived three concentration camps – Auschwitz, Ravensbruck and Bergen Belsen. Her mother and her first husband, Alexander Rosenbaum, both died in Auschwitz. Naomi survived the war and came to Houston in 1946. She married another Holocaust survivor, Martin Warren, and together the couple raised two daughters and a son in Houston. They established a successful import company which she continued to run after her husband’s death. 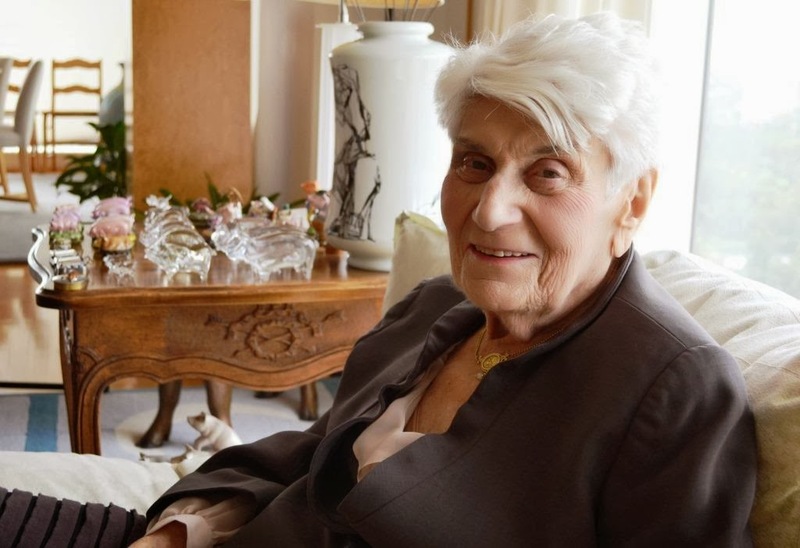 Naomi has made very generous donations to numerous organizations, particularly supporting projects which educate younger generations about the Holocaust. These gifts include support for the Future Teachers Fellowship which Naomi founded at Houston’s Holocaust Museum and the forthcoming US premiere by Houston Grand Opera of The Passenger by composer Mieczyslaw Weinberg, based on a novel by Auschwitz survivor, Zofia Posmysz. I was born in Poland in 1920. My 19th birthday was on the first of September 1939, the day that war broke out. It was a very special birthday because I had just finished high school and I was going to go to the university, but of course, the war changed all the plans that I had. In 1938, Poland was divided into two parts. The eastern part, where we lived, was occupied by the Russians and the western part was occupied by the Germans. My father was a president of a bank and as such, he was considered an enemy of the communist system, so they arrested him and deported him to Siberia. It was a tragedy at the time, but thanks to the Russians, my father survived the war. In 1941 the war started between Russia and Germany and that was the point that the Germans occupied our part of Poland and that’s how I had the “pleasure” of experiencing of the concentration camps. I survived three concentration camps before being liberated by the British in 1945. It’s really very strange; out of every experience you draw certain ideas and strengths. 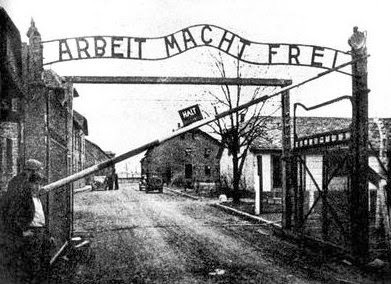 I don’t think I would be ever have been the same type of person had I not been in a concentration camp. I was so lucky to survive and I was so happy to be alive, but you had to be very strong. My brother was also a doctor, but he survived. My sister survived because she was already in the United States. My mother and my young husband were both killed in Auschwitz. Many times I have wondered why I was one of the survivors, but I was always thinking of my father. First of all, education was very important to him, but besides that, he taught me to be strong, he taught me to fight for what I believed in and perhaps that has resulted in who I am now. I was reunited with my father in the United States, and my brother and sister too. He lived to age 95. The war, of course, changed my life totally because I had to fight for survival. So as a result of that it has been a very, very exciting life – a very tough life from many points of view, a life of fear and a life of not being so happy and not knowing what was going to happen tomorrow, but I always had hope. I never gave up my hope. After Liberation, I chose to come to the United States because I had a sister and an uncle who both lived here. In 1946 a new life started for me in Houston. Later on I remarried, I have three children and a rather wonderful life. Really, I am a very happy person. Have you ever returned to Poland? I went back to Poland ten years ago in 2013 though I never wanted to go back. When we got there, I forgot a lot. I think I had wanted to erase it from my memory. I went to where I thought we lived, but it wasn’t the right house, it was a different street. I felt very sorry that I had messed that up because later I remembered the name of the street that we lived on. But at my grandfather’s house, we met a lovely lady who invited us all into her garden to talk to her. It was very interesting to meet her. I forgot so much but yet I remembered such little incidents. I had a sister and a brother. My sister was seven years older than I and I saw a clear vision of my mother standing outside the door. The boyfriend of my sister came to see her. He was absolutely gorgeous and a magnificent dancer and my sister liked him very much, but it was a problem for my mother. She didn’t like that my sister was going out with this guy. My mother said to him “Are you back already?” He went for a vacation or something and the first time she saw him when he came back, she said, “Are you back already?” I remembered that so clearly. I don’t know where I found the strength to deal with it, but I did. But was so tragic to see the railroad and to see the cattle cars which transported us. My sister came to Houston because my uncle lived in Houston. He owned a steamship company and his ships were hauling newsprint. When my father came to Houston after the war, my uncle helped him start a business selling newsprint to the local newspapers. My father was a very bright man. After I remarried in the United States, my husband and I started a business called the International Trading Company. We started importing sardines because he saw that there were no Maine sardines to be had – Maine sardines were the most important sardines in the United States – so we brought our sardines from French Morocco. That’s how we started our business and then we started importing ham too. Later it was just ham. We were one of the largest importers of ham from Denmark – Danish pigs were smaller and had less fat. Later we started producing ham in the United States. That’s why I have all these little sardine boxes and pigs everywhere. Certainly my father, but also my mother. She was a very unusual person and she was very bright. In Russia, she finished the gymnasium [high school] and she was accepted to medical school. She wanted to become a doctor, but she met my father, they fell in love, and that was the end of the medicine. My mother was born in 1890 and my father was born in 1885. What advice would you give to someone trying to start a new life after a tragedy? As far as I was concerned, I felt that a new life was starting for me when I came to the United States and I felt that the past was the past. I thought, “Now I have to start building something else. Will I be capable of doing that? I don’t know.” But I had to experience it and somehow it worked. I enjoy life, I always like to be doing something and I enjoy my family too. I keep busy, I just cannot stay home do nothing. I can read or I can listen to music but then I have to do something. I enjoy family and friends very much. I am always so happy when my children come to see me. I like Houston and I like living here. I don’t think I would feel as comfortable living in another city. However it is so hard if you don’t’ drive. You have to get used to living without a car, but I am very fortunate to be able to afford all the help I need at this stage in my life. My home, because I feel secure here, because I feel that my family will always come when I need them so I don’t feel alone. Oh, there are not enough restaurants in Houston! I have visited almost all of them, I can tell you. I like Toni’s and I like Café Rabelais, because they have good bread. There’s Pologna, but it’s still Polish food and anyway, I think we make better Polish food at home! I used to love to go to the theater, The Alley was such an important part of my life, but right now, I don’t go so much because I am not hearing as well as I used to, and so I have to have very good seats. It’s hard for me to get around, to get out of the car and to move around. It’s a different life that I have now. I am also proud to support The Passenger at Houston Grand Opera very soon. The opera is about a survivor of the concentration camp and a guard. They travel together years later and they recognize each other. I was in Auschwitz and I am a Holocaust survivor so that’s why I am involved. I feel sad that people don’t walk. They go to Memorial Park to run, but people don’t just walk. Naomi was nominated as one of the many Inspiring Houston Women by Andrea White. To hear more of Naomi Warren’s amazing story, please watch the touching film by Leslie Sachnowitz Meimoun called NAOMI WARREN: A Story of Hope and Renewal. The film recently received a top Grand Remi Award at the 2013 WorldFest International Film Festival. 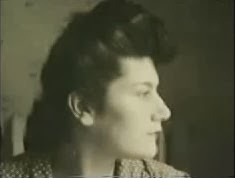 You may view this incredibly moving documentary about Ms. Warren's experiences and survival of the Holocaust here. For more information on Houston Grand Opera’s US premiere of Mieczyslaw Weinberg’s The Passenger in January 2014, please visit the HGO website. For more information on the Warren Fellowship for Future Teachers at the Holocaust Museum Houston, please visit the Holocaust Museum’s website.